After my initial contact from Scott Crawford about the possibility of securing an ASL interpreter for his deaf son, Luke, during the upcoming T4A conference in November, I began to ask about the possibility of securing additional ASL interpreters for the entire conference to give access to Deaf pastors and Deaf lay-leaders across the southeast. Scott felt this would be an awesome opportunity to give these folks the ability to benefit from some of the best teachings in this area of ministry and I set out to secure qualified ASL interpreters for this event as I have done for multiple Empowered to Connect conferences across the US and two CAFO conferences over the past 5 years. I am pleased to inform you we now have ample qualified ASL interpreters secured for T4A 2015. Be assured we are praying God will bless this event for His glory and cannot wait to see how God will work in every aspect of it. 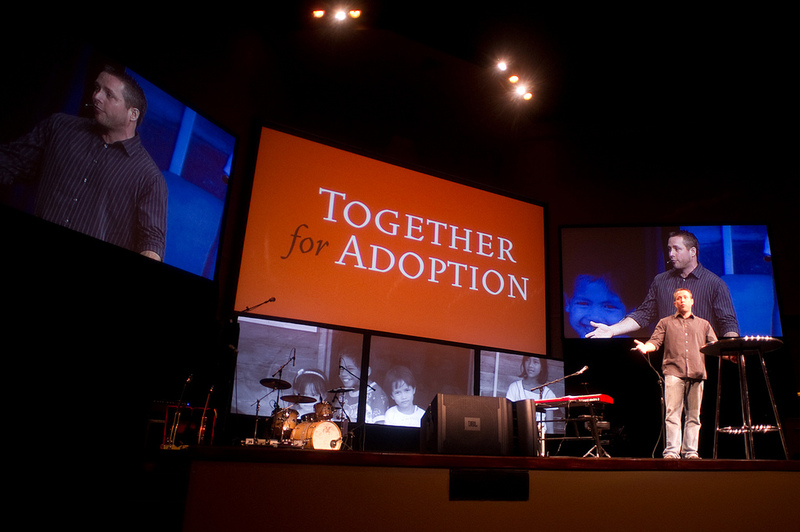 Join us this November 5-7 for Together for Adoption Conference 2015. Visit the conference website to learn more. As God, Jesus is himself the definitive Giver of God’s words. Only God can give God’s words. God’s words originate with God. He decides how they will be given to us or to angels. As man, Jesus is the perfect Receiver of God’s words. 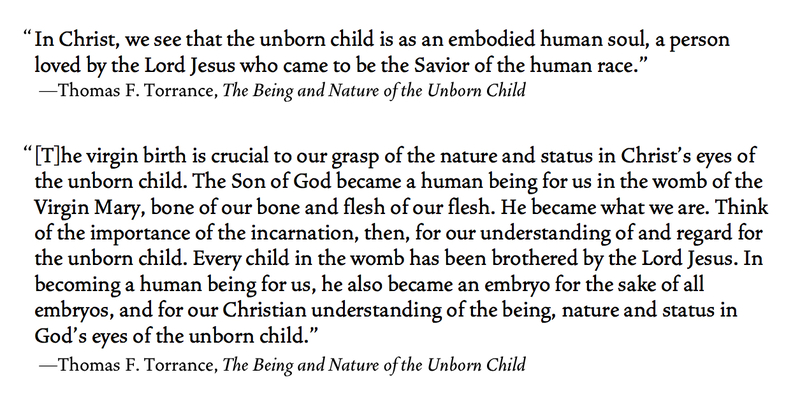 Man was created to be the receiver. God gives life and breath. We receive both. God gives love and gifts. We receive them. God is the Giver; man is the receiver. But here’s what’s unique about Jesus. Truly, he is one of a kind. There is—nor will there ever be—another Jesus. Since Jesus is both fully God and fully man, he alone Gives as God and Receives as man in his one Person. As the God-man, Jesus is the definitive Giver and the Perfect Receiver. If Jesus is not both fully God and fully man in his one Person, there is no Gospel for us. If Jesus in only God speaking to us, we stand judged and forever sentenced to eternal condemnation. If Jesus in only man hearing and receiving God’s words to us, we will forever be prodigals, with no hope of a party in the Father’s House. For there to be Gospel for us, Jesus must be both fully God and fully man in his one Person. For there to be Gospel for us, Jesus must be both fully God & fully man in one Person. This should be the paradigm through which we preach, study, interpret and apply the words of God, and listen to the preached Word as we gather as the children of God on the Lord’s Day. If we neglect either side of the “equation” (Jesus is fully God or Jesus is fully man) or overlook the miraculous reality that Jesus is fully both in his one Person, we’ll ultimately lose hope. As Christians we are quick to affirm, “there is one mediator between God and men, the man Christ Jesus” (1 Tim. 2:5), but for Jesus to be mediator means much more than he stands between God and us. It means, stunningly, that he is the one and only Mediator in his one Person, since in his one Person he is fully God and fully man at the same time—all the time. Unfortunately, and terribly so, we sometimes conjure up Jesus as mediator with this kind of image in our head: we picture God looking down on us from above (whatever “above” means) and picture ourselves desperately looking up for some serious help. Fortunately for us, we think, Jesus stands between God and us. Jesus’ right hand is holding his Father’s right hand and Jesus’ left hand is tightly grabbing our right hand (and with our left hand we’re clamping onto his left hand’s wrist just to make sure we don’t slip from his grasp). But that’s not the way the Gospel works! If you have that image in your head, or one similar, banish and replace it with Gospel Truth. Regardless of the words of God given to man, “[Jesus] fulfills all righteousness by being the truly obedient human being. Here at last is a human that hears the word of God and obeys it perfectly. Jesus is thus the God who speaks the creating work at the beginning. He is the God who speaks now the new-creating word. He is himself the message of that word, and he is the faithful hearer of the word…[To preach] this way [God] justifies us as we struggle to preach faithfully, and he justifies the congregation as they struggle to listen faithfully” (Graeme Goldsworthy, Preaching the Whole Bible as Christian Scripture, p.43). So how should Jesus as Mediator serve as the lens through which we read the words of God? For example, what should we do with these verses? “Open your mouth for the mute, for the rights of all who are destitute. Open your mouth, judge righteously, defend the rights of the poor and needy” (Proverbs 31:8-9). “Jesus said to him, ‘If you would be perfect, go, sell what you possess and give to the poor, and you will have treasure in heaven; and come, follow me’” (Matthew 19:21). “Only, they asked us to remember the poor, the very thing I was eager to do” (Galatians 2:10). If we do not understand Jesus as Mediator as I’ve explained above, we’re very likely to grow terribly weary in well-doing (or frightening self-righteous in our do-gooding). Who of us can measure up to the meager handful of commands I provided above? Is there any one of us who can face those commands head-on and come out the other side unscathed? Not a one of us; unless, of course, we have a Mediator who is both fully God and fully man in his own Person. We have a Mediator who is both fully God and fully man in his own Person. “[T]he neglect of Jesus’ human response [as our Mediator] to the Father has catastrophe consequences. The reason is that a failure to give appropriate attention to the vicarious humanity of Jesus means that everything, the whole of the Christian faith, life and ministry are not cast back on to us to do. At the last moment, it turns out, we are dependent on our faith, our worship, our obedience and so on, rather than on Jesus’ response for us. While our responses of course have their valid place, they are not the axis on which the gospel turns. Rather, Jesus is the axis on which the gospel turns. The resurrection of Jesus is the assurance that Jesus not only stood in for us while he lived, but that he stands in for us still, today and tomorrow and forever, offering us — who we are and what we do — in himself to the Father. Our lives, our worship and our ministries, as well as our prayers are given to the Father ‘through Jesus Christ our Lord’” (Andrew Purves, The Resurrection of Ministry: Serving in the Hope of the Risen Lord, p.101). Jesus is the axis on which the gospel turns. 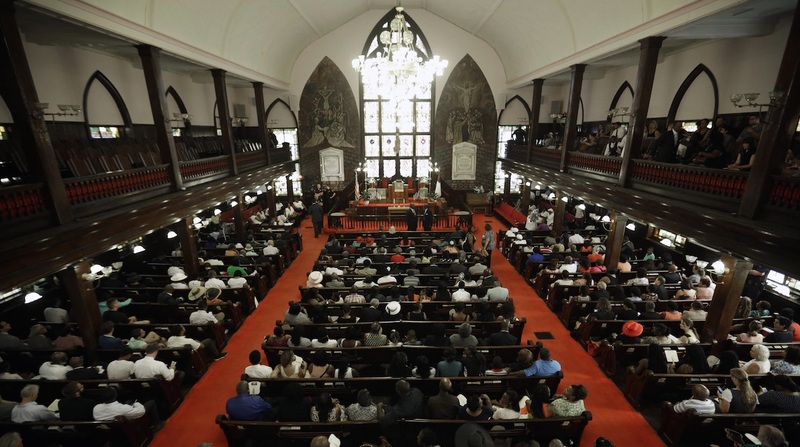 Register Now for T4A 2015 in Durham, NC. According to John 1:1-3, ultimate reality is not found in a single, solitary person, but in a fellowship of persons. The one who was with God and who also was God is none other than the Son of God, the Beloved of the Father. “All things were made through him, and without him was not any thing made that was made” (John 1:3). And this Son, who was in the beginning with the Father, became flesh (John 1:14) and lived among us, and his glory was beheld by humanity, the glory as of the only Son from the Father. Ultimate reality, then, is not a single person God who creates in order that he might have creatures whom he may command. No, ultimate reality is the eternal love shared between the Father and the Son in the communion of the Spirit. If the (ultimate) reality of the Father and the Son isn’t what dominates the headlines, then we would do well not to become so emotionally invested in the headlines we find on Fox, CNN, MSNBC, etc. Ultimately, those headlines will not make or break us. They’ll likely only encourage cynicism and an us-against-them mindset, neither of which serve humanity or us well at all. A steady headline diet of “The World Will Soon Implode” can drive us to make irrational decisions that make our world even more complex than it already is (see below). The only headlines that can transform and enrich our lives both now and forever are those that announce something of this sort: “Our story is about what happened when the love between Father and Son was fleshed out within our world. As the Son took up our humanity, joining himself to us, our humanity was taken up in the interplay of love between the divine persons” (Gerrit Dawson, Given and Sent in One Love, p. 25). The headlines we find on Fox, CNN, MSNBC…encourage cynicism and an us-against-them mindset. Imagine if Fox News, CNN, and USA Today led with this headline: Our Humanity has been Taken Up into the Interplay of the Love Between the Father and the Son. Our lives would feel a whole lot simpler, wouldn’t they? We’d know what really mattered. We’d know that, ultimately, everything would be okay. As a result, we would be far less likely to experience analysis-paralysis. As Chip Heath and Dan Heath write in Made to Stick, “psychologists have found that people can be driven to irrational decisions by too much complexity and uncertainty” (p. 34). If you want my opinion (and if you read this entire paragraph, you’re at least interested in my opinion enough to read it), these types of headlines we find on our major media outlets play into the hands of the chief enemy of God’s good creation and His image bearers. Timothy Keller nails it when he writes, ”The one thing [the evil one] does not want is that God’s words ‘You are my beloved child’ power the engine of your life and heart” (Timothy Keller, Encounters with Jesus: Unexpected Answers to Life’s Biggest Questions). Do you long for headlines and “talking heads” that enrich, empower, encourage, inspire, and simplify life for you (I apologize that the words “inspire” and “simplify” did not begin with the letter “e”. The alliteration part of my brain unexpectedly froze up)? Let me invite you to join us for our November 5-7 conference in Durham, NC. Our conference theme is: Simple. Solutions are closer than you think. I promise, if you join us, you’ll leave encouraged and equipped with simple solutions to complex problems. It’s not unusual for me to meet orphan care advocates, foster care and adoptive parents, and orphan prevention activists who feel burned out. The energy and enthusiasm that once characterized their efforts to advocate for orphaned and vulnerable children has all but evaporated. They are weary and heavy-laden (Matthew 11:28). Being an orphan-caring, orphan-loving, orphan-serving advocate is eternally significant work. James tells us that the actual practice of true religion involves caring for orphans and widows in their distress (James 1:27). To selflessly give yourself to orphaned and vulnerable children is really good work. There’s no doubt about that. But there is danger lurking in any and every good work we do (see Luke 15:11-32). We can do immense good “in the name of Jesus”—like caring for orphans with radical commitment, like giving our lives to Jesus for the sake of the fatherless—and yet subtly lose sight of what Christianity actually is. Do you ever wonder why you have become weary in well-doing? Are you on the verge of feeling bone-deep weary because of all you do “in Jesus’ name”? If so, here’s what the good news of the Gospel says to you: “Stop giving your life to Jesus!” What we often forget is that the Gospel is always counter-intuitive: When we stop “giving our lives to Jesus” but begin to rest in the reality that he gives himself to us and for us, we actually become increasingly refreshed and empowered to walk in the good works for which we were created (Ephesians 2:10). If what I’m saying isn’t sinking in, you’re in luck. In just 8 minutes, Glen Scrivener’s spoken-word video will begin to refresh and rejuvenate you with the simplicity of Jesus for you (I’ve included the text below the video). Enjoy! Each prayer more daring than the previous. who flocked to the fore to knock, knock knock on heaven’s door. He claimed salvations like he was keeping score. And none doubted more than me. Making sure I really meant it. Gave my heart to be expended. What more could He demand? No single day would pass without this act. of grace into my heart. dragging down to duty’s basement. But at least I had my bracelet! O dear bracelet, give me strength anew. The bracelet counseled: What Would Jesus Do? there He rendered ALL to God who, silent, let Him fall. and likewise sprawl before the Splendor. that never came. But all the same I’d call. Being told what He gave, my Lord to save. by the very act that saved us. The cross was a standard unfulfilled by us. It was the very least we owed. beneath the lid, the venom hid. But no-one hated God more than I did. His thirst for blood who can slake? But this God held perpetual hunts. I gave my life to Jesus but I guess it was no good. So this elder brother turned prodigal. And I could chronicle the years headed east. A pig-sty passed off as release. THERE – what brought me back? THIS BOOK said: REPENT and BELIEVE the GOOD NEWS. arms outstretched till they bled. the lowly now towering in Him. So that night on His knees? Gethsemane’s pleas? Those prayers they were said for me. And Jesus does it all for me. Can you give your life to Jesus? Talk about cart before horse. He is the Giver and we just receive, that’s what it means to believe. that they must stir up zeal, then let it be His we reveal. Stop giving your life to Jesus, He’s the Giver delivered for you. Led by Susan Heath Hays. Susan has 20+ years experience working with non-profit organizations. Currently, she consults with Head Start programs across the country with a focus on improving leadership and engaging families. Susan is a Switch Certified Trainer specializing in change efforts within school systems and non-profits. Why some changes are excruciating and others are easy. Why most organizational changes never generate the momentum they need. How to break through the “decision paralysis” that can doom a change effort. How to spot and clone the “bright spots” than can point the way forward. Why knowledge is not enough to spark change—and what will spark it. How tweaking the environment is minor ways can trigger big changes in behavior. Whatever the major change challenge you need to tackle as a pre-adoptive or adoptive parent, a foster child advocate, foster parent, advocate of family reunification, adult adoptee, or a non-profit or church ministry that works in the orphan care/adoption world, you will receive tools in this 3 1/2 hour workshop to spark and achieve breakthrough change. 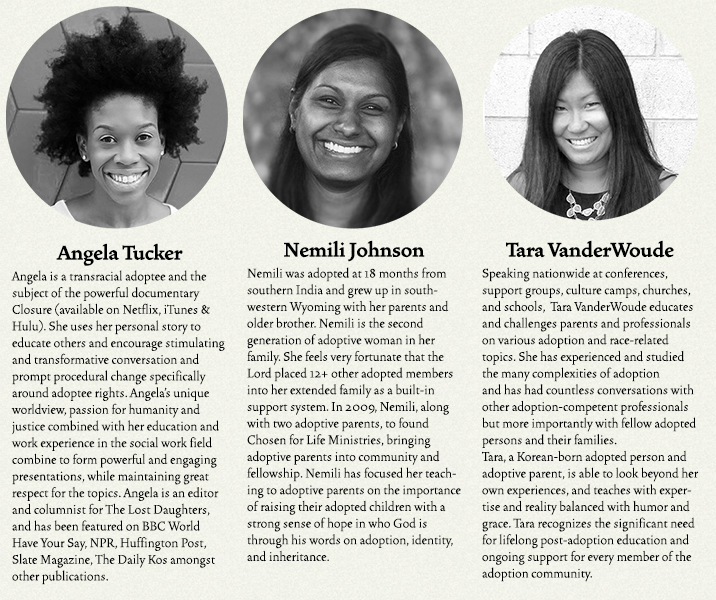 Join us for this Together for Adoption Pre-Conference Switch Workshop, November 5, from 1:00-4:30pm at The Summit Church, Brier Creek Campus (2335 Presidential Dr., Durham, NC 27703). Register for just $35 per person. 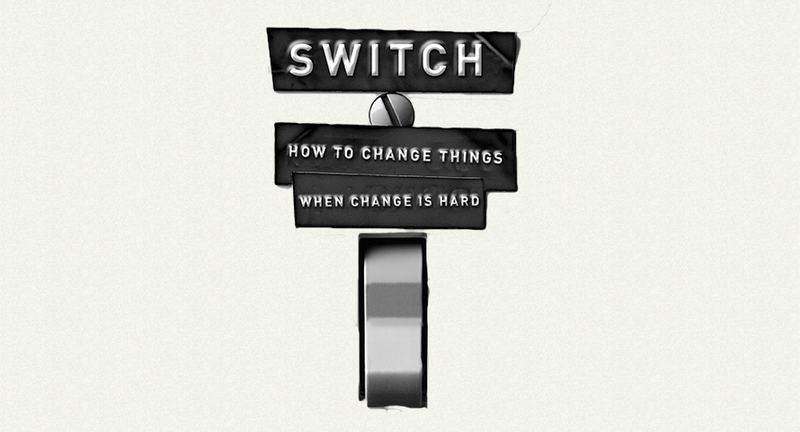 Note: You do not need to register for the November 5-7 Together for Adoption National Conference in order to register and attend this Pre-Conference Switch Workshop. Learn more about this pre-conference workshop. If you have a great idea about orphan prevention, family reunification, orphan care, foster care, domestic adoption, international adoption, or about the kind of adoption language we should use, here’s your opportunity for a chance to share your idea in a main session at this year’s Nov. 5-7 Together for Adoption Conference in Durham, NC. Learn more about this first-ever T4A opportunity. 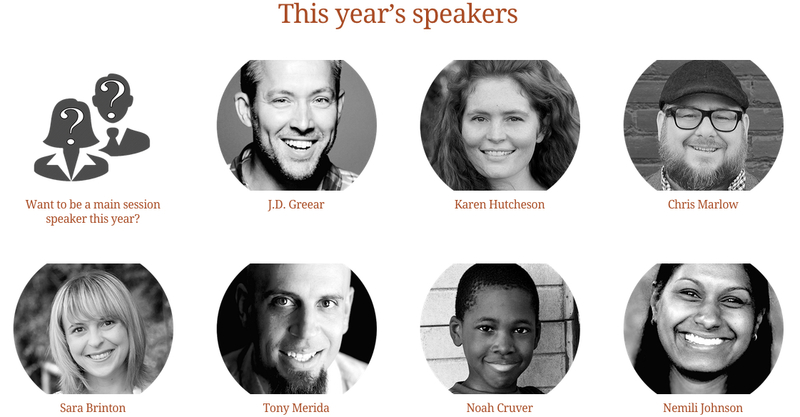 Want to be a main session speaker at @t4aCon 2015? Here’s your chance!